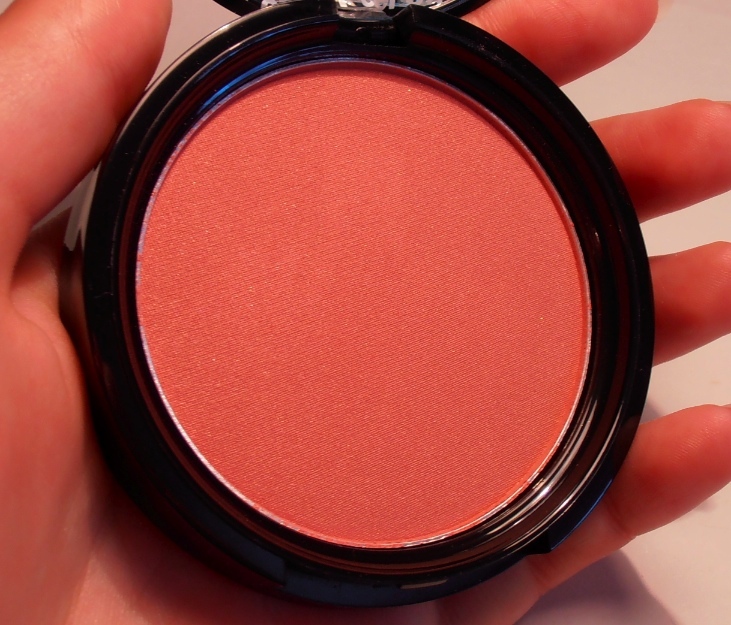 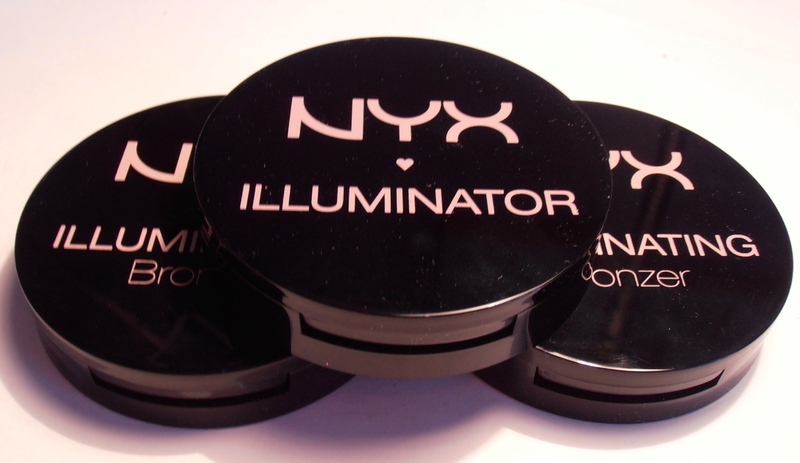 These are smooth, well-pigmented powders that provide a reflective sheen. 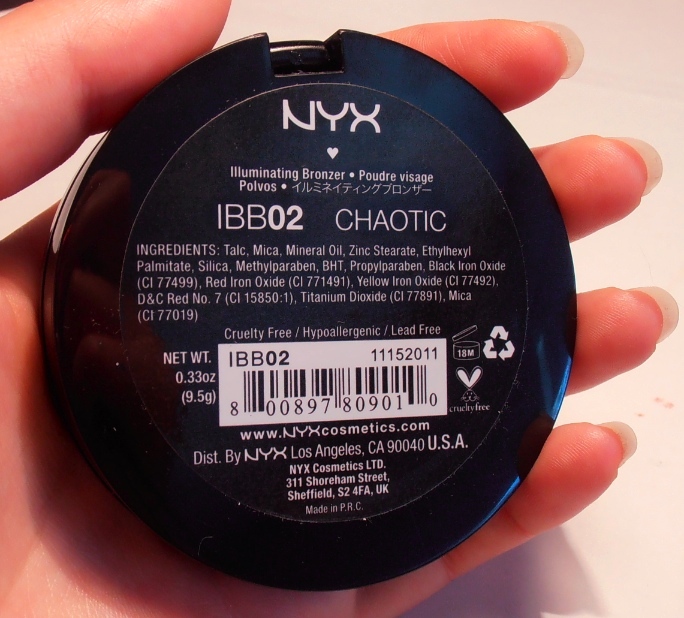 Chaotic has the least amount of shimmer to my eye, while Narcissistic has the most obvious. 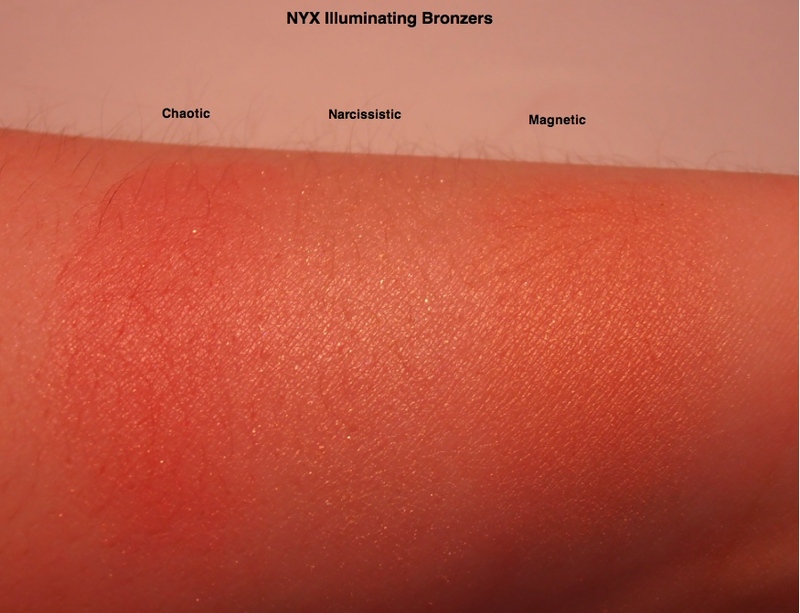 Magnetic has no visible shimmer and is the most subtle and refined on the skin. 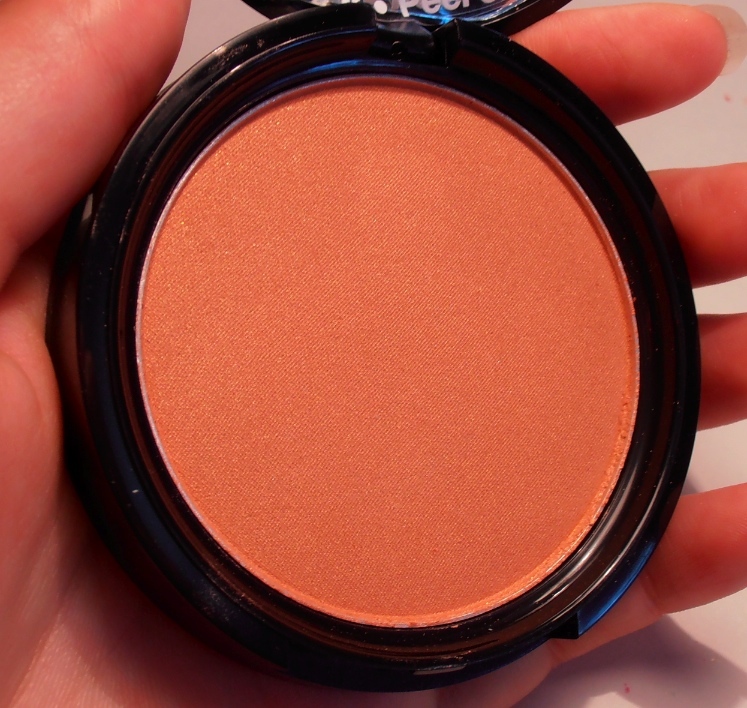 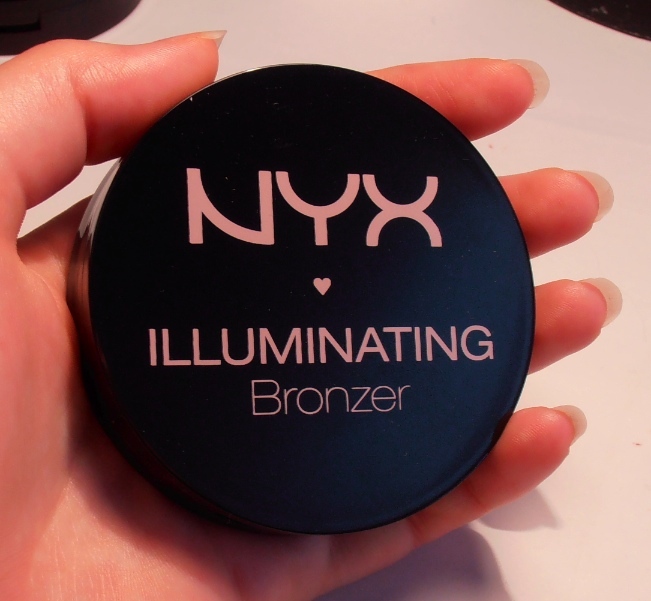 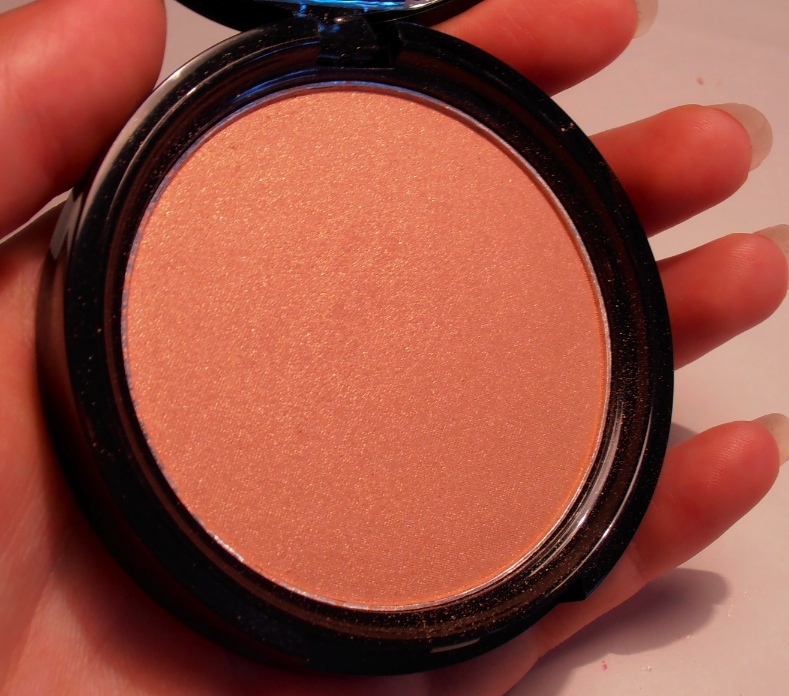 This entry was posted in Blush, Bronzer, Face, Highlighter and tagged Beauty, bronzer, chaotic, illuminator, magnetic, makeup, narcissistic, NYX, review, swatches.